Have you ever wondered "Is this all there is to life?" We are living in an era of distractions. Unprecedented advancements in technology and obsessive consumerism imprison our attention. These distractions keep us from becoming who we really are, which results in a life of confusion, anxiety, and stress. 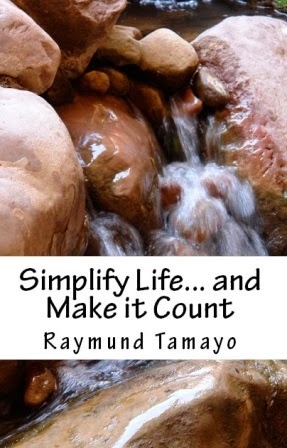 The solution: Simplify Life. The reason: To Make it Count. You were born for a purpose. You aren’t here to please other people and live the way they want you to live. You only have one life to live and you don’t want to regret how you’ve lived it. What happens between today and fulfilling your purpose is up to you.